The Legislature opened final negotiations on a budget Friday by delivering crushing defeats to Gov. Rick Scott on his two priorities of tax cuts and incentive money to attract jobs. Scott had insisted on $1 billion in tax relief, but legislative leaders settled on $400 million, half of which is for one year. Scott wanted $250 million over three years for a new enterprise fund to lure jobs to the state, but lawmakers flatly rejected the idea. “The enterprise fund is at zero,” Rep. Richard Corcoran, R-Land O’Lakes, chairman of the House-Senate budget conference committee, told reporters after a brief organizational meeting Friday. Corcoran considers himself an ally of Scott’s, but he does not believe that giving cash or tax breaks to businesses creates jobs, and he rejects the argument that Florida should do it to remain competitive with other states. Scott has spent months collecting endorsements from mayors, legislators and business groups for the $250 million jobs fund. But opposition to the idea is so fierce in the House that Corcoran and 27 other Republicans voted against a bill Wednesday that contained no money and only created a framework for spending incentive money over the next three years. The decision by Republican lawmakers to quickly dismiss the goals of their party’s governor could have dire political implications, but Scott’s initial response was muted. At the urging of Senate leaders, Sen. Jack Latvala, R-Clearwater, chairman of the Senate budget subcommittee for economic development, supported the $250 million. He excoriated legislative leaders for their decision Friday. Scott’s critics celebrated the decision on social media. “Leadership tells Governor Scott no to corporate welfare,” Pasco County Tax Collector Mike Fasano said on Twitter. A year ago, Scott clashed bitterly and repeatedly with senators, mainly over differences in healthcare policy. He vetoed $461 million in line-item spending in the budget, much of it for projects in lawmakers’ districts. Relations between lawmakers and Scott have been civil but distant during the 2016 session, which has two weeks remaining. To add insult to injury, legislators on Friday also rejected Scott’s call for $1 billion in tax cuts. Sen. Tom Lee, R-Brandon, vice chairman of the budget conference panel, said legislative leaders have agreed to less than half of what Scott had demanded. Lee said only $200 million of the tax cuts would be recurring. That’s yet another damaging blow to Scott, who wanted more than three times that much in recurring cuts, much of it in the form of a reduction in taxes on commercial leases paid by businesses. “We came up to a number that we thought made sense based upon the long-range financial outlook we have for our state, and that’s where we settled,” Lee said. Lee said Scott’s tax cut proposals — and his campaign promise — fell victim to a dip of nearly $400 million in the state’s revenue estimate. Senators originally proposed $250 million in tax cuts, far short of what Scott and the House supported. Lee and other senators said they would be putting the state in future financial jeopardy if they cut deeper than that. A leading business lobby criticized the Legislature’s decisions. “We’re disappointed in the initial reports of zero dollars for economic development, and only $400 million in targeted tax cuts for families,” said Mark Wilson, president and CEO of the Florida Chamber of Commerce. 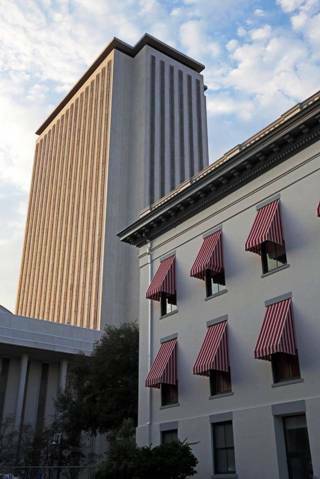 Some budget conference committees were slow to begin work Friday because lawmakers had headed home for the weekend, only to be summoned back to Tallahassee. For example, education budget conferees likely can’t convene until Saturday afternoon because they lack enough members to reach a quorum, said Sen. Don Gaetz, R-Niceville. Lawmakers have until Tuesday, March 8, to reach a budget deal for the 2016 session to end on schedule on March 11.